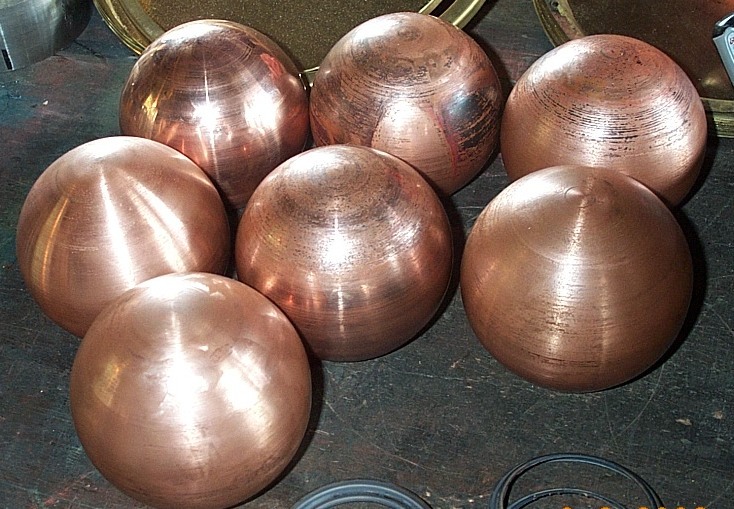 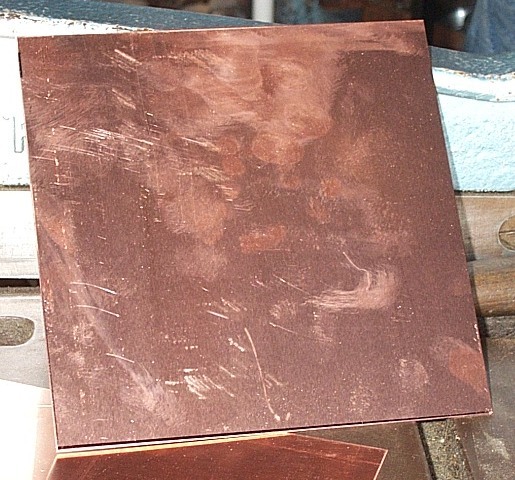 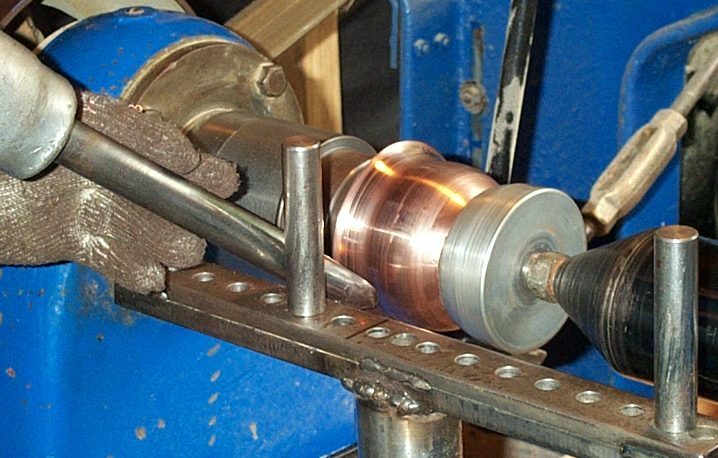 The balls begin as a flat sheet of metal (copper in this case). 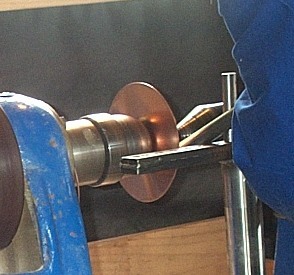 The spinning is done over two formers, the latter one being the ball shape. 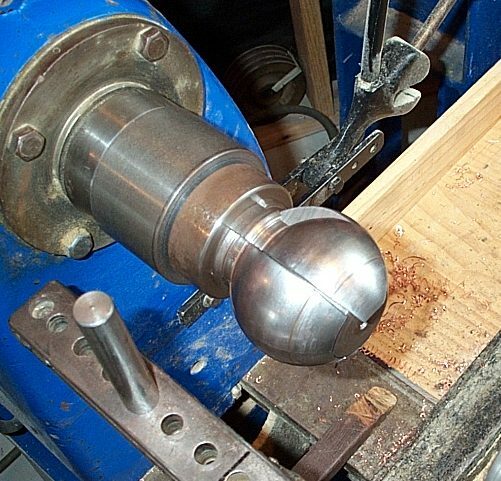 The completed ball and former is taken from the lathe to extract the core from the former, to collapse the former so that it can be extracted from the balls neck hole.